Will you be buying this bundle? Yes - I would like to own these games. No - I already own them. No - They're not very interesting to me. Though these games have been bundled many times, they haven't been in any bundle since 2016. I'll choose the option "it is cheaper on steam". Needs "Fanatical" in the title. If I recall correctly, you can enter those DLCs without owning the base game. If you don't mind, put a warning in the thread for GA creators. Not bad. Elven Legacy (more known as War Codex) - very solid TBS. these are solid games.. I had great fun playing them in the past. 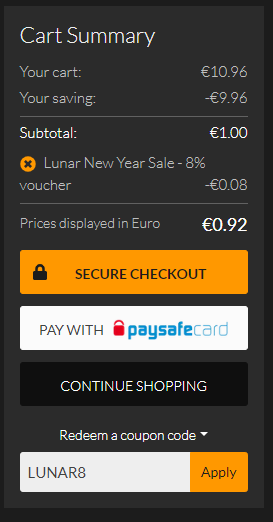 Lunar8 is not working -" You must spend over €2.00 to use this discount code"
Edit: Oops, until checkout. So yeah, doesn't work but still a good price, i guess. 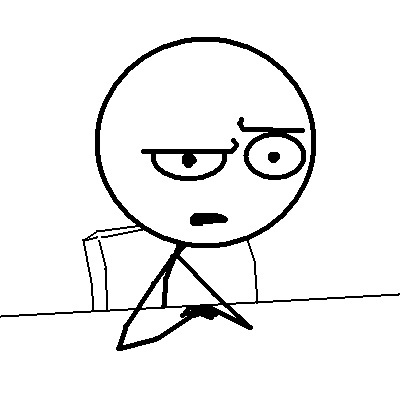 Wait a second -- shakti, you made a thread that is NOT about accounts being hacked?! Who authorized that?! 1 free thread for new users! take the thread you want! I like this bundle if Steam Price converted on a 80% discount as stated on ITAD its still cheaper to get on Fanatical with my higher price conversion. I have also been looking at the games for awhile as i am a big Strategy fan. Problem lies in my backlog thus I'll probably not get it. I been looking forward to a Cossacks: Back to War $1 bundle in the past when I missed it. I wasn't able to make payment on Indiegala for the same deal as my region was rejected as payment region.